WASHINGTON -- The U.S. National Transportation Safety Board will investigate an accident involving a Tesla Inc. Model S sedan that rear-ended a firetruck on a freeway near Los Angeles on Monday, the agency said. The agency will send two investigators to conduct a field probe of the crash that occurred near Culver City, Calif., NTSB spokesman Chris O’Neil said in an e-mail. The investigators will focus on the driver’s actions and how the vehicle performed, O’Neil said. They will likely arrive Wednesday. The inquiry is the second by the safety agency into a crash involving Tesla’s Autopilot feature. The system combines advanced cruise control and automatic steering systems that allow for hands-free driving in limited scenarios but Tesla says the human driver should pay attention to the road at all times. The investigation gives NTSB’s highway division an opportunity to look for broader safety issues related to automated driving technologies and how Tesla’s Autopilot system functions, but won’t necessarily lead to a full report and a meeting before the agency’s five-member board. The Tesla’s driver said he had the vehicle’s Autopilot driver-assist system engaged when it struck a firetruck while traveling at about 65 miles per hour, a union for Culver City firefighters said in a tweet on Monday. "Amazingly there were no injuries! Please stay alert while driving!" the union said in the tweet. The firetruck was parked in an emergency lane at the side of the highway attending to another accident at the time of the morning collision, according to the Mercury News. Tesla said in a statement that Autopilot is “intended for use only with a fully attentive driver.” The company said it has taken steps to educate drivers about the need to keep their hands on the steering wheel and be prepared to take over from Autopilot, which it calls an "advanced driver assistance system" that is not intended to turn the vehicle into an autonomous car. The NTSB has previously said Tesla’s Autopilot system was a contributing factor in a 2016 fatal crash in Florida. In that case, a Model S driver died after the car drove underneath a semi-trailer crossing a divided road that the Autopilot’s sensors failed to detect. One of NTSB’s key findings in the 2016 accident was that the Tesla automation system wasn’t designed to detect a truck crossing in front of it. As a result, the car’s auto-braking never activated and it slammed full speed into the side of the truck. 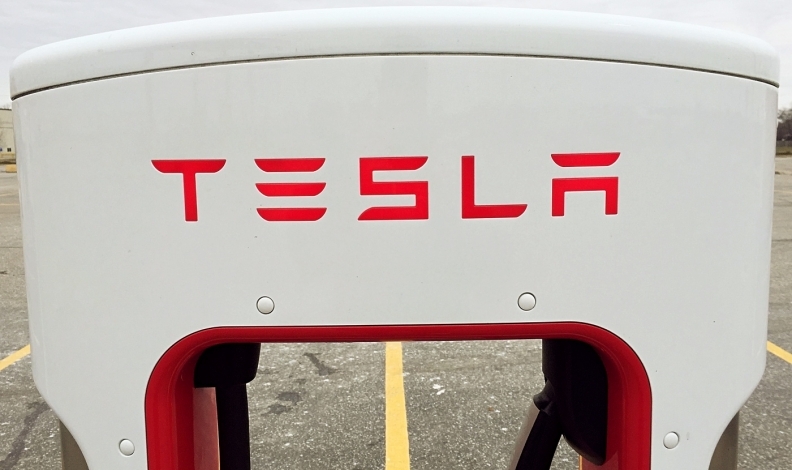 The National Highway Traffic Safety Administration conducted separate tests of the Tesla automation after the accident, finding that it “avoided crashes for the majority of rear-end scenarios,” NTSB said in its report. It wasn’t clear in Monday’s accident why the Tesla sensor technology didn’t see a stationary vehicle, the fire truck, in its path. After the 2016 crash, the NTSB recommended automakers take additional steps to assuring that the driver is paying attention while using a driver-assist system. General Motors last year began equipping some Cadillacs with its Super Cruise system that allows for going hands-free on the highway. The system monitors whether a driver is paying attention using a small camera on the top of the steering wheel column to track head position.